Getting ready for the big game just got a whole lot easier! You can use these Weight Watchers Instant Pot game day recipes to prepare your menu in advance. There’s nothing quite like game day food. It’s delicious, indulgent, and usually it’s not very healthy. Instead of blowing your hard work and dedication to a healthy lifestyle, try out some of these lighter options. I love to make Weight Watchers Instant Pot game day recipes because they are quick to make, easy to clean up after, and I can enjoy my favorite treats without worrying about the points! With the new Freestyle Smart Points system it took some getting used to for the daily points allotment. Weight Watchers Instant Pot game day recipes mean you won’t have to worry about missing out on your favorite flavors. You can party it up with your friends and family members without overdoing it on your daily or weekly points! 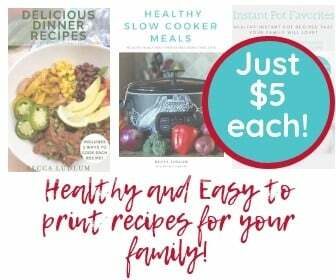 Remember that these recipes are mostly cooked and created for the 6 Quart Instant Pot. If you have a different size, check out this post for more info on how to adjust the pressure and cook time. If you are using another brand or style of programmable pressure cooker make sure that you check the wattage and pressures to be sure it’s comparable. Otherwise you may need adjust the cooking time to accommodate the difference!